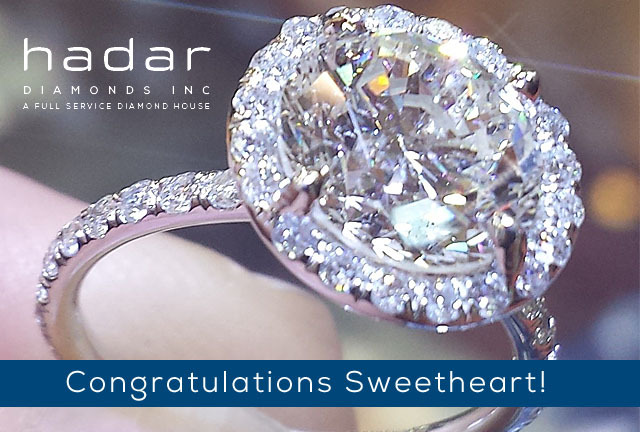 Blog - "Congratulations, Sweetheart! I Bought a Clarity Enhanced Diamond!" "Congratulations, Sweetheart! I Bought a Clarity Enhanced Diamond!" 1. Start off with the big guns. Tell her about the matching beauty and cost savings. “Darling, Although, I can’t tell the price, I want you to know that I saved 50% percent on this diamond. And there’s more. We got a much larger diamond for the same money as a much smaller one. I trusted you would appreciate knowing how much I think of you and that I'm smart with my resources.” -When you get right down to it, clarity enhanced diamonds are a deal, and we are confident she will see that. We call it: thoughtfulness combined with rational thrift. 3. “Honey, wait until your girlfriends, family and everyone at the office sees the size of that thing. Do you think they will flip when they gaze at this large, flawless looking sparkling wonder?"